Clever friends! I am co-teaching a five month course on herbal medicine + magick with the amazing Kirsten Hale of Little Bird Apothecary. The course is being offered through the Califia Collective but I wanted to make sure and share it with my beloved Worts + Cunning community since so many of you have asked to apprentice and study with me in-person over the years. Well, here is your chance and I'm soooo very excited! Class size is very small (we're only taking 13 students) and applications are approved on a first-come, first-serve basis, so I encourage you to apply sooner than later if you're called to study with us (also you can get an early bird special on the price if you pay by January 5!). Enjoy the following preview of the Sacred Apothecary! We have been scheming and dreaming in the wee hours of the night and in mid-day excitement to create a powerful, 5 month class series designed to develop a strong relationship with plants as allies, as healers, as magicians. 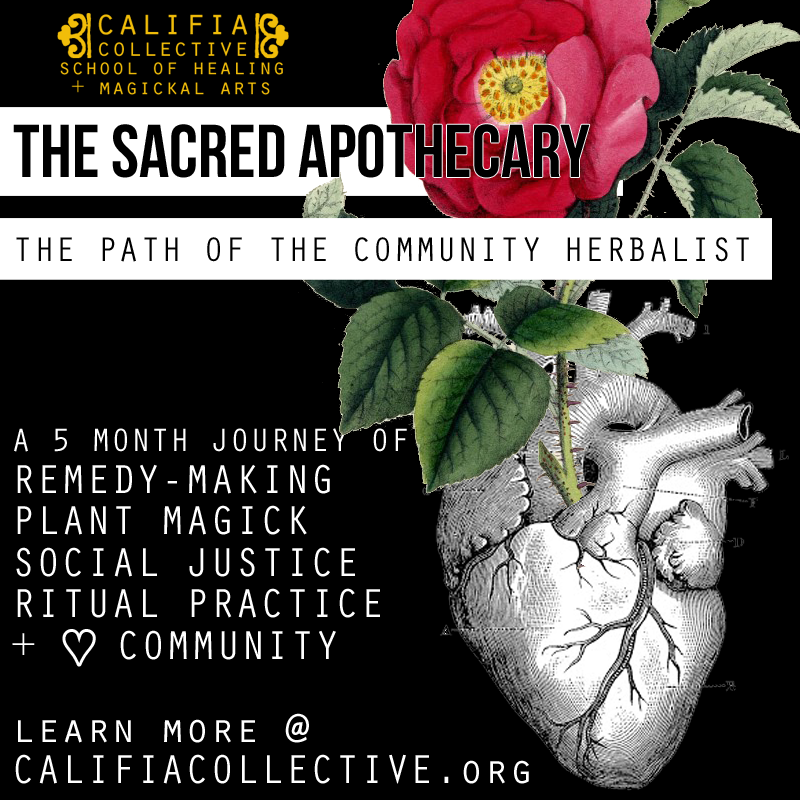 While most Califia classes are open to folks of all genders and gender expression, the Sacred Apothecary Spring 2015 course is only open to womyn-identified folks. While future Sacred Apothecary courses may be open to multiple gender expressions and identities, we feel called to create an empowered learning circle specifically for womyn-identified folks as a deeply supportive space for sharing and receiving. At the end of the course each student will leave with a strong relationship with their plant allies, a confidence in their remedy making craft, and a magickal understanding of the botanical world. The Sacred Apothecary is designed to teach you to interact with the earth's gifts on many levels including the physical, the emotional, and the spiritual. We will be covering 15 plants intimately, with many more being studied by each student, and teaching each student the process of getting to know a plant on a holistic level. 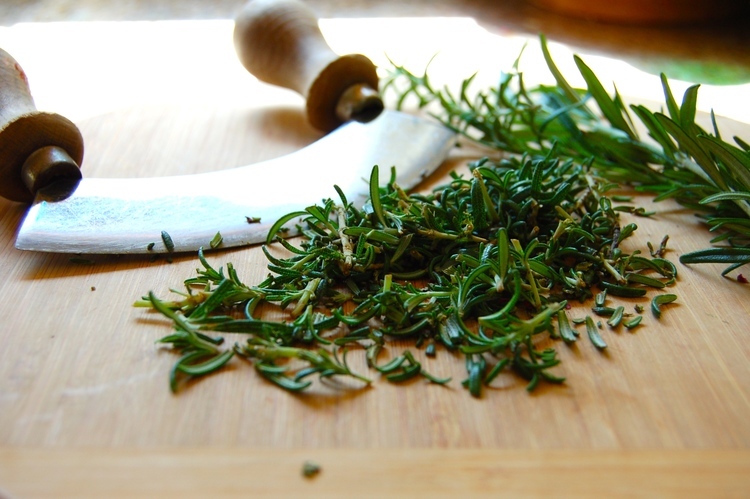 Tossing out the notion that herbs are simply the "all-natural pharmaceuticals" we'll be meeting them as complex creatures with wonderful personalities. Students will learn how to research plant uses and create a personal Materia Medica system that works for them. We will experience plant medicine and magick from a place of empowerment, helping you to create a deep and lasting relationship with plants that will continue to grow throughout your lifetime. We will be covering Herbal Actions, Energetics, Introductory Human Physiology, Sacred Space, Ritual and Devotional practices, Magickal Herbalism, Flower + Gem Essences, Holistic Nutrition, Social Responsibility + Justice, Creating an Inclusive Practice, Case Studies, Formulating Plant Remedies, and much more! Do you feel the call to work deeply with the plants? The Sacred Apothecary is a 250 hour program combining in-person classes, an online classroom, class assignments, and support for 16 weeks. Students will attend one 8 hour Intensive session plus one 2-3 hour Pre-Intensive session monthly with approximately 12.5 hours of study and projects weekly. Each week will build on the previous to create a comprehensive approach to plants. Classes will be a combination of lecture, discussion, ritual and hands-on remedy making. Since we will be sitting in ritual and sacred space together, classes cannot be repeated if missed, so attendance at all classes is required for creating group rhythm and intimacy. Payment plan option: $100 deposit due by January 5, followed by 5 monthly payments of $139 in cash or check paid before each Friday class. One full-paid scholarship is available based on financial need. Upon course completion, a Certificate of Herbal Study will be awarded. Are you ready to journey with us? We are ready to journey with you! Head on over to the Sacred Apothecary page to meet your teachers and complete your application.